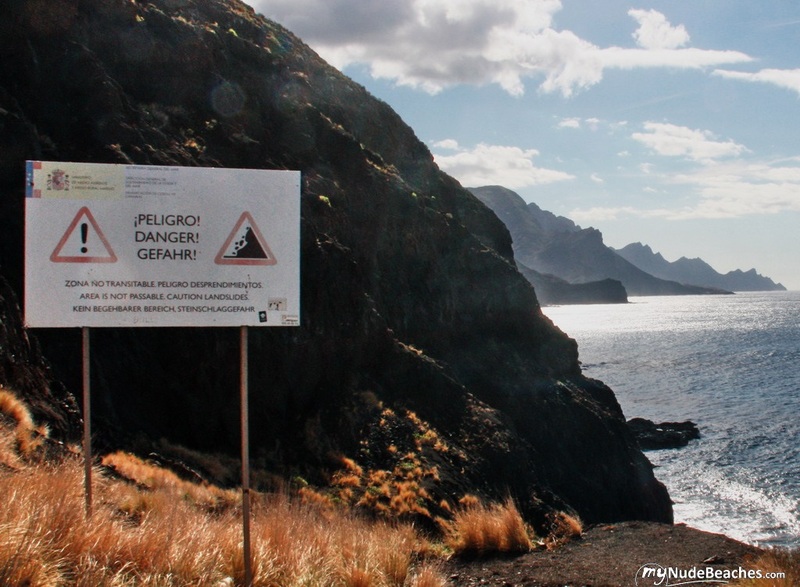 In the northwestern corner of Gran Canaria, the most remote area in the island, with perhaps the most stunning landscape, Guayedra could be the perfect beach if you are looking for isolation... if it wasn't for the landslides that make dangerous to get to it. 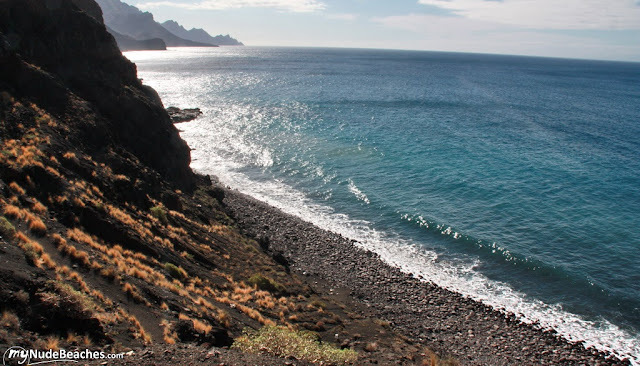 From Las Palmas, take motorway GC-2 to Agaete and Puerto de las Nieves. In the roundabout at the end of the road, turn left into GC-172, and 500 m later, GC-200. This is the road that goes all along the west coast towards Mogan and the tourist resorts in the south. It is a narrow winding road between the cliffs and the ravines that run into the sea, frequently cut off in case of heavy rain. After 5 km and uncountable turns, the road goes down to Guayedra ravine. At the lowest point, just after a right U-turn, there is an unpaved road on the right that you have to follow for 1 km. The little parking area overlooking the sea, is probably the best option to leave the car. You can drive another 200 m, but the path is quite narrow and it will be more difficult to turn over. The last 200 m can only be done by foot. It seems it should be an easy way down, but it is dangerous because of landslides. In fact, there is a large signpost warning about the danger and prohibiting the access to the beach. 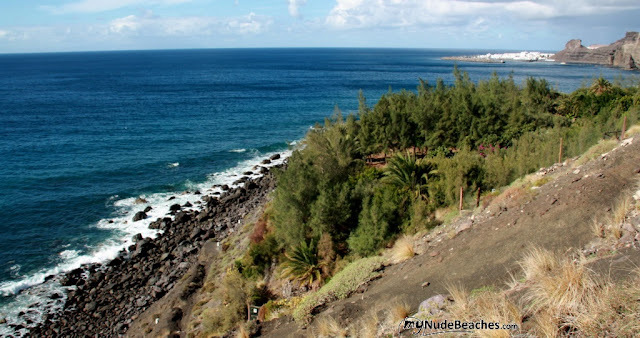 Like most beaches in the west coast of Gran Canaria, it is made of black sand and pebbles. The sand almost disappears at high tide. The landscape is awesome, with dramatic vertical cliffs as far as the eye can see (the only exception is the ravine we used to get to the beach). Be careful of waves and currents if you decide to swim. Absolutely nothing. You have to take everything with yourself. Because of the isolation and the complicated access, the beach is never crowded, and nudism is common. Feel free to take your clothes off.